Railway Recruitment Board (RRB) has conducted Exams for the post of JE in IT. This exam was conducted off-Line on 14-12-2014 at all Exams centres of India. 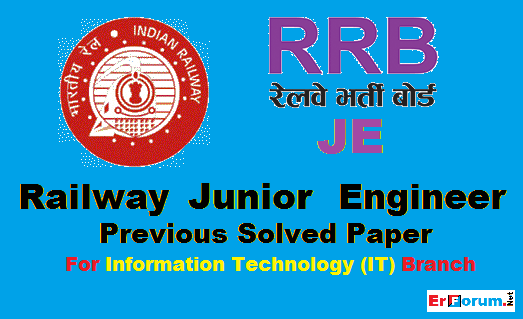 Here we are sharing all 3 variances of the paper of RRB JE-2014 (IT). These are Paper with 3 colour code namely RED, GREEN and YELLOW. Click on below download link of respective paper to download PDF of the papers. The Solution of these papers will be uploaded soon.